Dangerous climate change is coming. Some people still deny that it is happening. Others refuse to recognise that it is now too late to prevent it. But both these reactions spring from the same source: our pathological attachment to ‘progress’, of which sustainability has been one more version. 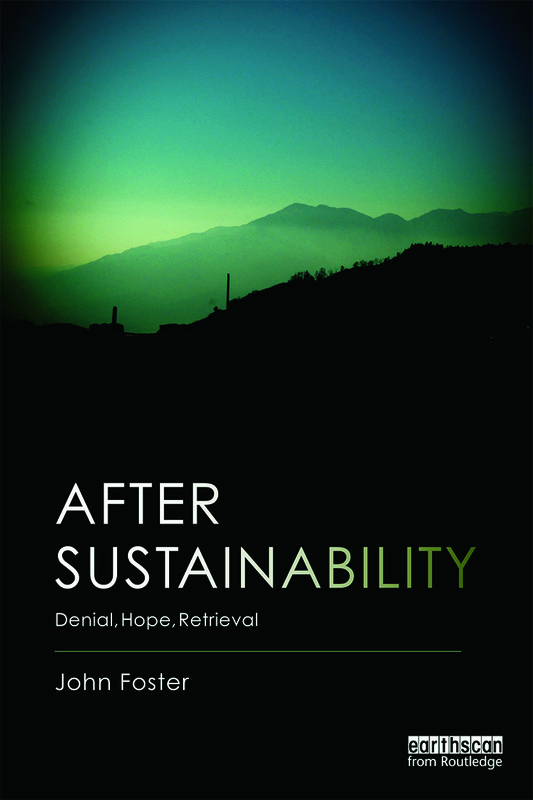 After Sustainability traces that attachment to its roots in the ways we make sense of ourselves. Original and accessible, this is philosophy on the edge, written for anyone who glimpses our environmental tragedy and cares about our future. Does the challenge to stop pretending offer our only remaining chance? Read this book and make up your own mind. Timely but discomforting…examines the myth of progress and finds it wanting. It will help climate change deniers understand the issues. More importantly, it will help environmentalists, most of whom deny their own failure, to shift from a morally bankrupt optimism to a more realistic hope – with learning at its heart. An understanding of the bind we are in, why 'sustainability' has failed to get us out of it, and what an honest alternative might be is long overdue. This book looks beyond false hope and strained optimism to what that future might look like. Necessary and important. Prologue: the End of Pretending? Part 1: Denial 1. Varieties of Denial 2. Progress Past and Present 3. Progressivism Part 2: Hope 4. Environmental Tragedy 5. Structuring the Self 6. Natural Responsibility Part 3: Retrieval 7. Retrieving Wildness 8. Towards a Toolkit Coda: Can We Learn? John Foster is a freelance writer and philosophy teacher, and an honorary Fellow in the department of Politics, Philosophy and Religion at Lancaster University, UK.